Four different ways to connect your USB-C MacBook Pro to a Dell U2713HM - but only some work! The Dell U2713HM is an old monitor now, but I still see it being sold in local computer stores. Mine's been sitting in the cupboard mostly, only coming out when it's too difficult to connect something to my primary monitor. One of these occasions was when I was trying out my new MacBook Pro, the one with all USB-C ports. I tried a number of different combinations of adapters and cables, this is a quick run down on what I found to work and what didn't work at all. 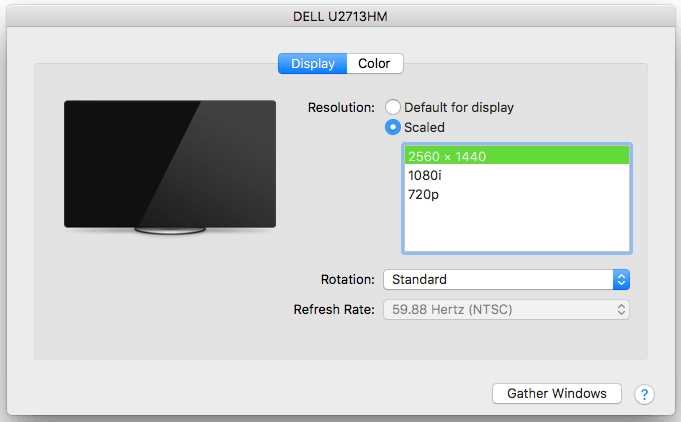 I've written a similar article when I first got this monitor, that time connecting it to my 2012 Retina MacBook Pro, you can check that out here. 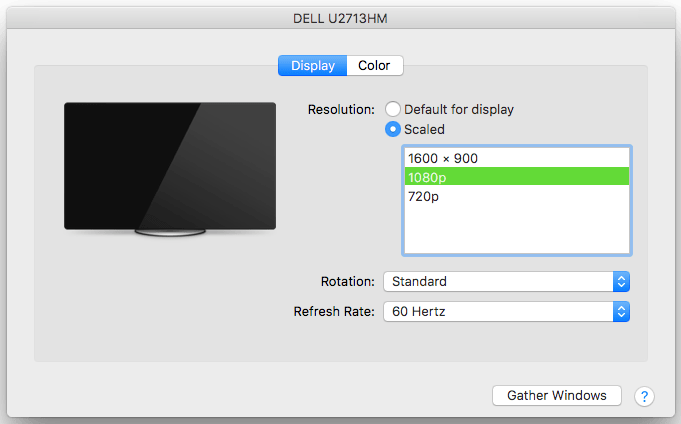 I also wrote a similar article about the Dell U3415W monitor. Back to the 2017 MacBook Pro. First I tried a USB-C Multi AV adapter I reviewed earlier with a HDMI cable. This worked, to a certain degree and only under specific conditions. The best resolution I could get was 1080p @ 60Hz. Unfortunately this is nowhere near the native 2560x1440 resolution. 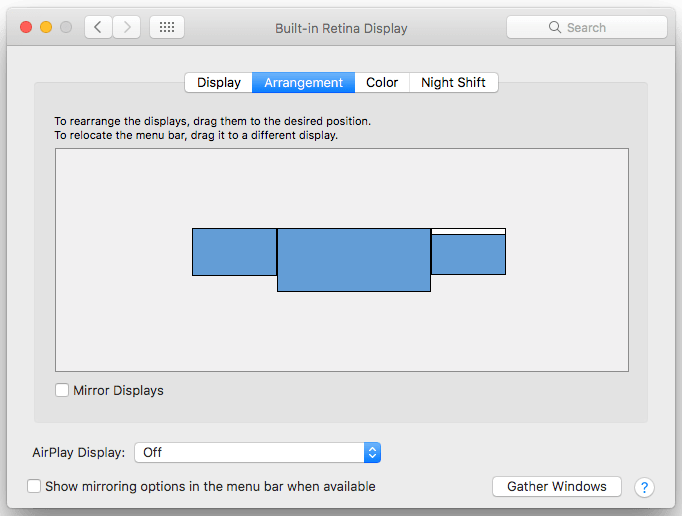 Also when the Multi AV adapter was plugged into the left side of my Mac, the monitor would not get any signal. Somehow macOS was still detecting it, but no picture! Plugging it into the right hand side worked though! Next I tried something more complicated. I wanted to see if my DVI adapter would work. I used a USB-C to mini-DP adapter first, then the Apple DVI thunderbolt adapter I had. No luck, this combination didn't work at all. No signal, not even detected by macOS. I did have luck with the USB-C to mini-DP adapter and a mini-DP to DP cable however. This combination gave me the full 2560x1440 resolution @ 59.88 Hz. I thought maybe I was onto something now and tried the next combination of the USB-C to mini-DP adapter with a mini-DP to HDMI cable. No luck! No signal, nothing detected by macOS. I couldn't find my VGA cable anywhere unfortunately so the only port on the monitor that wasn't tested was the VGA port. I'll see about borrowing one this week so I can complete this test. Update (08-Aug-2017): I have a VGA cable now so if anyone is interested I can try connecting this monitor with it but I don't think it will work. As it stands, the best way to connect a USB-C MacBook Pro to this monitor is via a USB-C to mini-DP adapter and a mini-DP to DP cable.